The UEFA Nations League is a tournament introduced by Europe’s premier football governing body in a bid to improve competition among its member states and reduce the number of dead rubber friendlies played during FIFA’s international break. The tournament saw UEFA split its 53 member nations into four groups based on their FIFA ranking, with the idea being for countries with similar strengths to face one another, and rewarded with promotion and relegations, as well as qualification for EURO 2020 through the tournament. The Nations League is a bit complicated, and as expected, met with a lot of resistance, with a lot of people including Liverpool coach Jurgen Klopp questioning its significance and brandishing the tournament senseless. The ‘competitive’ nature of the Nations League means countries attach more importance to it than for normal friendly matches. This extra pressure to win these matches pits international coaches in a situation where they have to field their best players, regardless of club duties more than would have been the case if they had been just friendly matches. International windows offers the opportunity for friendly matches to try out different hitherto untested players on the national scene, and work out ways to blend them in with the more established internationals. However, the advent of the Nations League has put paid to such practises, as coaches prefer to use their tested and trusted names to prosecute the matches. 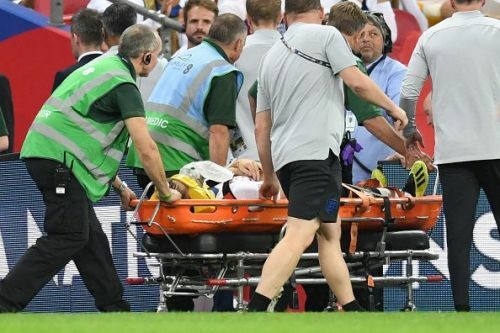 This has adverse effects on the clubs, as most of their major players are forced to play in glorified friendly matches which have been termed 'competitive', thereby increasing their chances of sustaining an injury as was the case with Luke Shaw who got injured in the Nations League clash with Spain. The average top level footballer already plays on average of 55-60 competitive fixtures for club and country in a football season over nine gruelling and long months, and to increase pressure on their already battered body in the name of the Nations League is insensitive on the part of UEFA. This undue pressure on national coaches is what led Jurgen Klopp to make those statements which was backed by Dejan Lovren, and it is hard to argue against his position.